"The Capital Area Immigrants’ Rights (CAIR) Coalition is the only non-profit organization in the Washington, D.C. area with a legal services program focused exclusively on assisting detained immigrant men, women, and children in jails and juvenile facilities in Maryland and Virginia. Services for adults: CAIR Coalition staff visit all Maryland and Virginia immigration detention centers and provide the following services to detained adults: Group orientations, individual orientations, connections with Pro Bono Attorneys, Pro-se assistance, send volunteers to aid with credible or reasonable fear interviews. If you have any questions about the services provided by the Detained Adult Program, please contact Claudia Cubas, Senior Program Director, Detained Adult Program, at claudia.cubas@caircoalition.org. 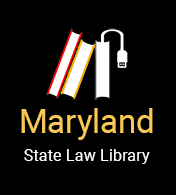 Services for children (ages 9-17): “Know Your Rights” presentations, individual consultations, and accompanying children to their first immigration court hearing in Arlington, Virginia, or Baltimore, Maryland. CAIR also provides direct representation in removal proceedings to children seeking repatriation, children reunifying from ORR programs in Virginia with family members in Maryland, DC, and Virginia, and to children facing prolonged detention. CAIR serves children through a combination of in-house representation and pro bono placement with local law firms. If you have any questions about the services provided by the Detained Children’s Program please contact Nithya Nathan-Pineau, Program Director, Detained Children’s Program, at nithya@caircoalition.org. If you have a family member or loved one who is detained, simply email or call CAIR to add him or her to the priority jail visit list. On the next visit to the jail, CAIR will call to speak with your family member or loved one and conduct an intake. The intake is the first step in determining if CAIR can help your family member or loved one. CAIR does not conduct walk-in consultations.